SCOTTSDALE, Ariz. – Dec. 28, 2018 – Barrett-Jackson will sell thousands of coveted, authentic automobilia pieces, all at No Reserve, during its 48th Annual Scottsdale Auction, January 12-20, 2019, at WestWorld of Scottsdale. 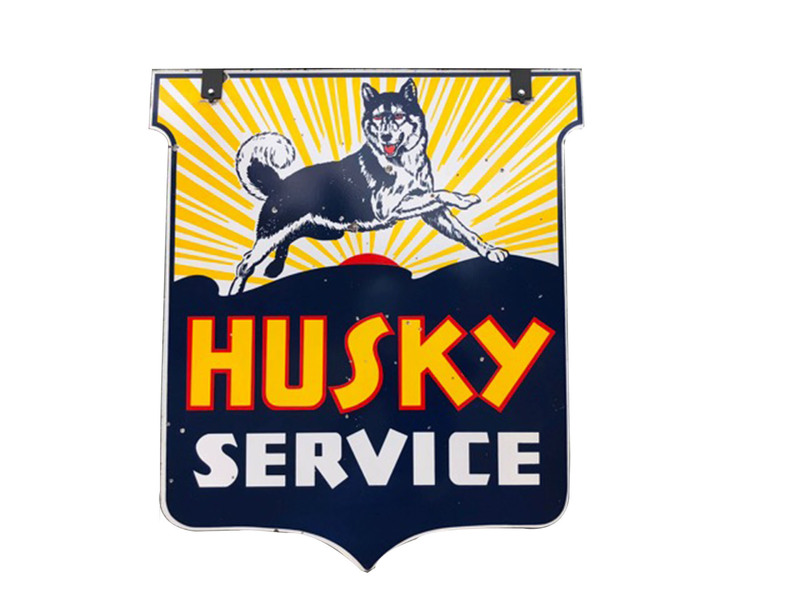 Barrett-Jackson has become the leading seller of authentic pieces of automotive-related memorabilia from around the world, with offerings that appeal to every level of collector. 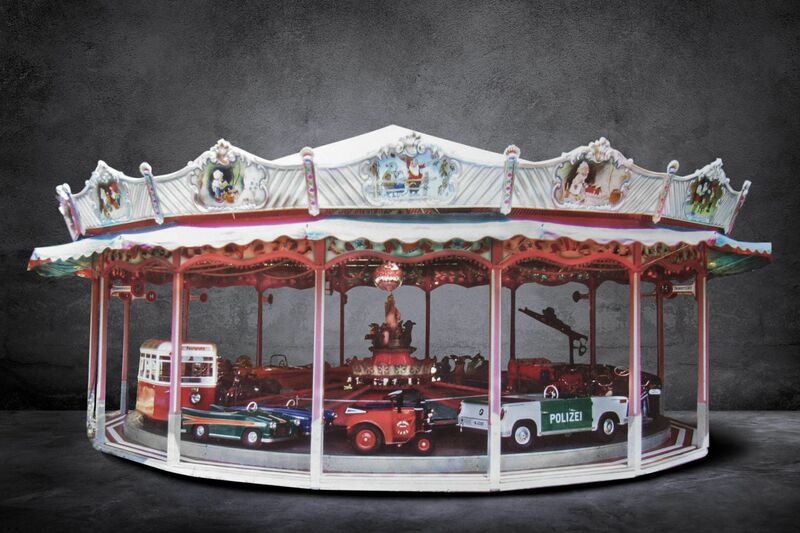 Among the most anticipated items in Scottsdale will be a 1965 full-size transportation themed carousel (Lot #9499) built by Karussellfabrik Wilhelm Hennecke of Uelzen, Germany. “Our Automobilia Auction started nearly 17 years ago as a natural extension to our collector car auctions,” said Craig Jackson, chairman and CEO of Barrett-Jackson. “Collectors from all backgrounds embrace these authentic pieces because they connect us to the past in much the same way as collector cars. The growing demand for Automobilia over the last several years is a testament to the value that collectors continue to place in the collector car market. We’re helping meeting that demand with more than 1,600 items in Scottsdale, which represent the finest selection of automotive memorabilia available to collectors.” Leading the Scottsdale Automobilia docket is the full-size transportation-themed carousel (Lot #9499) built in 1965 by Karussellfabrik Wilhelm Hennecke of Uelzen, Germany. With a 32-foot diameter and standing 16 feet tall, this carousel boasts 23 hand-built vehicles. Each a magnificent piece of art, they were handcrafted from the finest woods with impressive leather interiors. The carousel has required only minor restoration, with most of the vehicles remaining original. It is one of the most original and best-preserved of its type, still maintaining its vivid colors and striking original artwork. The automobilia offering will also feature items from two exclusive collections, representing decades of hunting and gathering by a pair of dedicated, driven and highly successful enthusiasts: Doug Kotte of Ohio and the late Fred Nicodemus of New York. 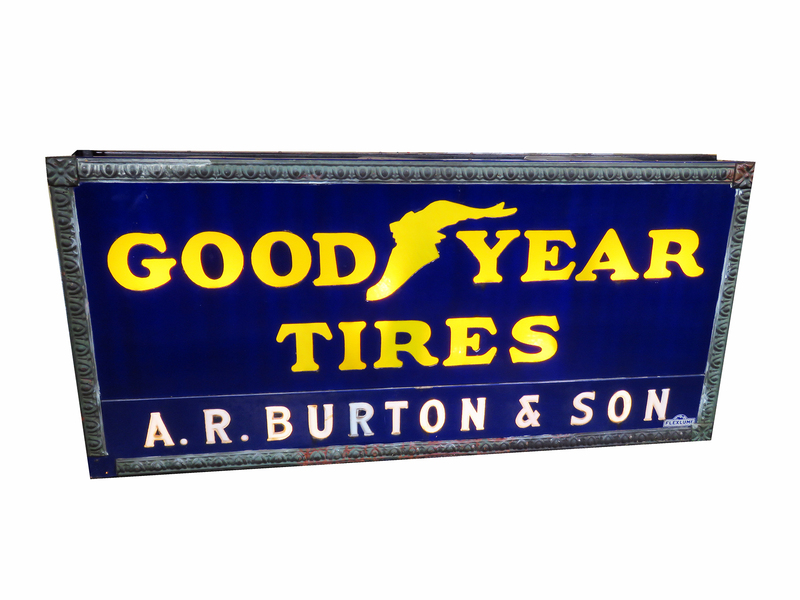 These two collections represent what is believed to be one of the largest-ever single offerings of tire and automotive garage-related collectibles, including over 1,000 tin, porcelain and neon signs, many hailing from the 1920s and 1930s, and featuring outstanding period graphics. The complete Barrett-Jackson Automobilia Auction docket is available to view here. The 2019 Scottsdale Auction docket is now available to view online. Click here to consign a vehicle or visit Barrett-Jackson.com/Bid for information on becoming a bidder. Advance tickets, nine-day ticket packages and information on VIP Packages are available at Barrett-Jackson.com. Also, follow Barrett-Jackson on Facebook, Instagram, LinkedIn and Twitter for the latest news and information heading into the 2019 Scottsdale Auction.